Take a trip back to an easier life at the Zebulon neighborhood of Weavers Pond; fresh vegetables from the weekend farmer’s market, romantic strolls along wooded trails, chasing fireflies at the garden or visiting the charming local horse stables. 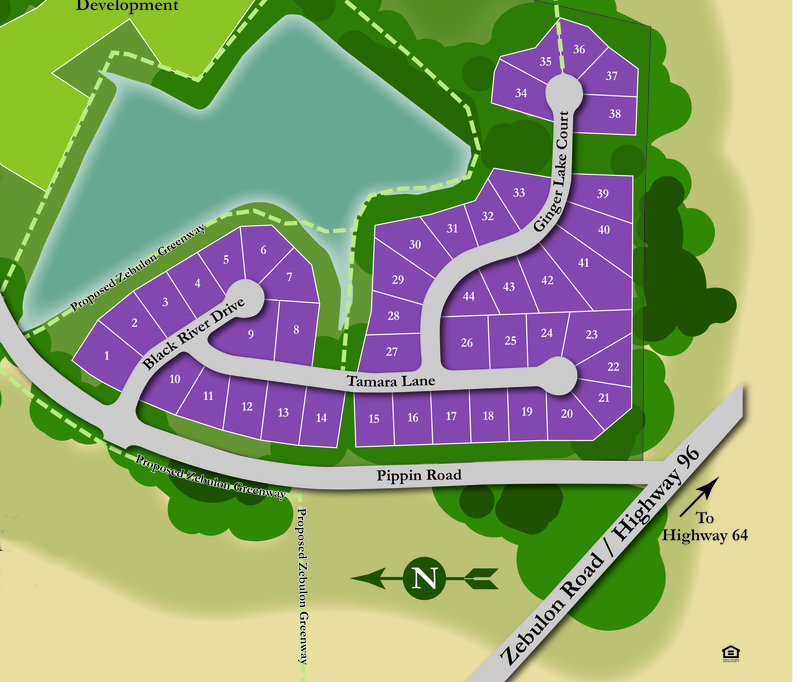 Located in tranquil Zebulon, Weaver’s Pond is 20 minutes to Triangle Town Center and 20 minutes to Wilson; just outside the hustle and bustle of daily living. Weaver’s Pond is only moments from everywhere you want to be, yet a step back to a simpler time and a slower pace. A Weaver’s Pond address provides you with an oasis of serenity surrounded by all you need. As you drive away from the hectic workday hustle-and-bustle, you’ll feel your stress subside as you sigh with relief upon reaching your Weaver’s Pond home. Custom new homes from the $300s by an award-winning custom builder team. Homes are currently underway in this private, yet not remote setting. In addition to high quality, custom-crafted homes at Weaver’s Pond, two fish-stocked ponds await fishing enthusiasts of all ages, along with a Jr Olympic-sized pool, tot-lot, and youth soccer field. Learn more — call us today 919.845.9909. Visit www.fidelisconstructionnc.com to learn more about Fidelis Custom Homes! Visit www.ICGHomes.com to learn more about ICG Homes! Visit www.marisconstructionllc.com to learn more about Maris Construction! Travel I-540 East to Hwy 64/264 Bypass East. Exit 435/Zebulon; left on N. Arendell Ave/NC Hwy 96. Right on Pippin Rd. Our community is just past Wakelon Elementary School; follow the directional signs to Lakewinds at Weavers Pond.